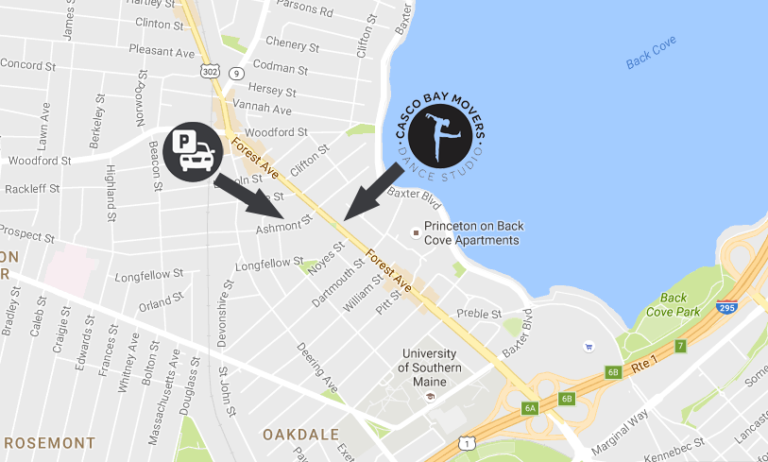 Casco Bay Movers is located at 517 Forest Avenue, across from the Mobil gas station. Although we do have dedicated parking, most dancers are able to find on-street parking in closer proximity to the studio. Common streets for parking are Forest Avenue, Belmont, Ashmont, Noyes, and Dartmouth streets. Please be mindful of 1-2 hour parking signs in some of these areas. Also, please do not park in the Bow Street Market parking lot as they might tow. If you need to cross Forest Avenue, please use the crosswalks. 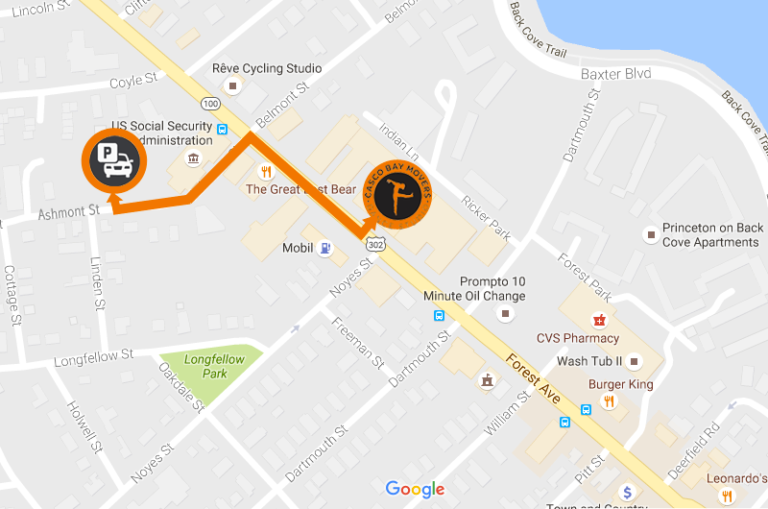 Our dedicated parking lot is on Ashmont Street. Please see the below maps for reference.